Tired of sitting still? Got itchy feet? Want to have a giggle? Fancy making friends? Why not join the movement? 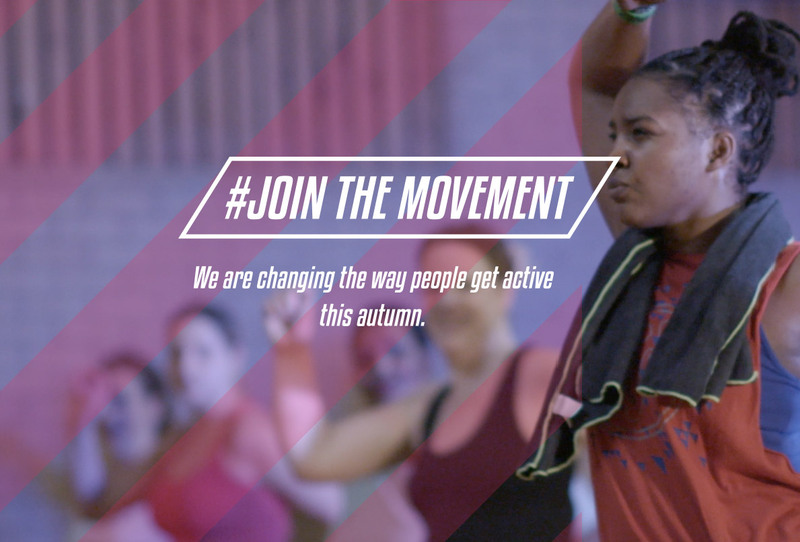 This autumn we are changing the way people get active. Join us this September for an exciting new fitness program happening in a Community Centre near you. Weekly classes are being led by our fantastic new team of exercise instructors and are completely free! What’s more they will be happening morning, noon, and night, 7 days a week, at venues across the city. There is something for everyone, from the latest fitness trends to a bit of legs, bums and tums. Some of the activities we will be putting on include; Zumba, Clubbercise, Spin, Pilates, Yoga, Dance, Legs Bums and Tums, Insanity, Body Conditioning, Line Dancing, Bootcamp, HIIT classes, Aerobics, Hula, Circuits, Chair based exercise and Swimming. Everything you need will be waiting for you when you walk through the door, so just bring yourself dressed in something comfy, maybe some water in case you get thirsty, and a friend for a bit of a laugh! The best thing about it is it won't cost you a penny. Do it for you! Being physically active has countless health benefits, emotionally, physically, and mentally. Exercise can help boost your mood, give you energy, reduce your risk of major illnesses and help you sleep better leaving you feeling fabulous from the inside out. Going along to an exercise class is a great way to make friends, have a laugh, de-stress, and feel positive about yourself. The sessions are fun, free, social and local - working out has never been so easy, or addictive! Come on your own, bring a friend, or make some new ones by getting to know your neighbours. Whatever your preference get over to your nearest Fit in the Community session to try something new in a class delivered on your terms, where fancy gym wear isn’t required and neither is a costly membership fee. There are male and female instructors working across our wide variety of sessions who can help you become more active, be more involved with your neighbourhood and also the wider fitness world. Make the change today! Sign up today to access a world of new and interesting classes in time for September. If you are not sure about anything, or have a question contact us on 0115 746 9100 for more information. Whilst you're here, take a look around. There is loads to see and find out about on our website, we already have a load of great classes so you may find something to do before September.